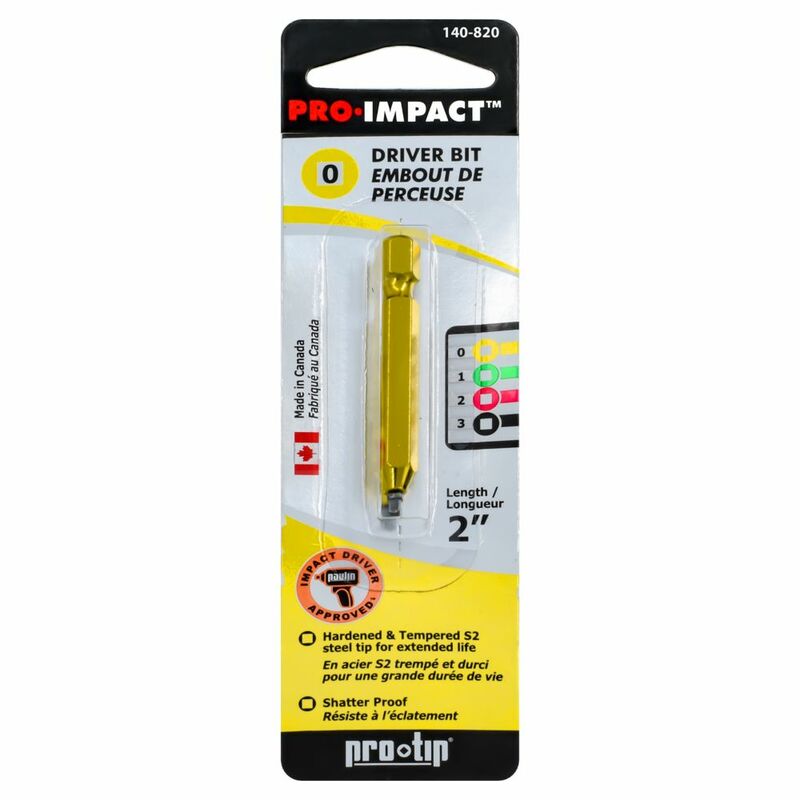 This DeWalt 2-inch #2 Square Power Bit is a great addition to your drill bit collection. It has a #2 square drive style that comes in handy in many applications. This bit is manufactured from Shock-resistant steel for maximum durability and features a hardened core for extra strength and long life. #0 x 2-inch Square Bit Driver Kit Premium screw driving bit. #0 x 2-inch Square Bit Driver Kit is rated 5.0 out of 5 by 1. Rated 5 out of 5 by Tasukikun from Great quality screwdriving bit for small screws! I needed this bit to install a smaller doorbell for our veranda. The screws were #0 square and I found myself without a proper bit to mount the push button so I found this one and I gotta say it works well. I even put it through several other uses with other projects and it is holding up very well.